The objective of this study is to predict live body weight from 12 different morphological traits measured from Savak Akkaraman lambs at three different periods (average 11 days after birth, weaning and at the beginning of grazing) using factor scores in multiple linear regressions to remove multicollinearity problem. Morphological data obtained from 159 lambs were subjected to Kaiser-Meyer-Olkin (KMO) and Bartlett’s Sphericity tests to ascertain the suitability of factor score analysis. A result showed that implementation of factor analysis was appropriate for the studied data set at each period. At each period, factors whose eigenvalues which is the characteristic roots of a square matrix with p×p were higher than 1 were elected by applying the Varimax rotation in explanatory factor analysis. In the first period of average 11 days after birth, 2 factor scores (FS) were used as new latent predictors in order to predict live body weight in multiple linear regression model. The 2FS at the first period, 3 FS at the second period, 4 FS at the third period accounted for 80, 45 and 57 % of the total variability in live weight, respectively. The achieved results revealed that using of body measurements could allow breeders to conduct better breeding programs. Also, it is recommendable that periods in wide variability should be taken into consideration in selection program. AT analysed the data statistically and wrote the article. SB conceived and designed the study. SYcollected the data. Factor scores, Multiple linear regression, Multicollinearity, Savak Akkaraman lambs. Sheep plays an important position in the enhancement of the rural economy and it is one of the small ruminants that can adapt to harsh climatic conditions in Turkey. In domestic sheep breeding, it is necessary to define the very variable associations between age, body weight and body measurements to select better animals in order to achieve more genetic improvement on reproductive efficiency especially rural conditions for ascertaining feeding amount, medicinal dose and marketing high price of a sheep when weighting device is not available under rural conditions (Eyduran et al., 2010). In sheep breeding, there is a growing interest in describing the relationships between live weight and morphological traits for meat productions in order to improve breeding evolution for long years (Aksoy et al., 2019). The morphological traits, which may be affected by genetic and non-genetic factors, are indirect selection criteria in the improvement of live body weight over generations as a result of high genetic correlations. In addition to, numerous studies have been carried out on forecast of body weight from morphological characteristics in different sheep breeds (Cankaya et al., 2009; Keskin et al., 2007a, b; Sangun et al., 2009; Eyduran et al., 2009, 2010; Ogah et al., 2009; Yakubu, 2009). However, some authors emphasized the adverse effect of severe multicollinearity, as a result of very high correlations between the handled predictors, on regression parameters; in this case, wrong biological interpretations can be made. When the estimation of live body weight by means of morphological traits in sheep was considered, reliability of the prediction procedure depends on selecting effective statistical methods. Use of several statistical methods has been adopted such as multiple linear regressions, Pearson correlation, simple regression, nonlinear regression etc. for description of the relationship between body traits. However, these methods can be insufficient in the explanation of complex relationships between predictors and multicollinearity problem may be occurred if the data set is large and complex. In the elimination of the multicollinearity problem occurring owing to very strongly correlations among morphological traits, several earlier reports about joint use of multiple linear regression analysis and factor analysis have been finding recent years (Eyduran et al., 2009; Khan et al., 2014). Using factor scores analysis in multiple regression analysis make available an acceptable opportunity of both obtaining uncorrelated-meaningful latent-new independent variables, derived as factor scores from original leashed independent variables, and eliminating multicollinearity problem for ensuring reliability of regression coefficients, as also described previously by many researchers (Eyduran et al., 2009, 2010; Keskin et al., 2007a, b). Eyduran et al. (2009) predicted live body weight by means of some morphological traits i at weaning period. On the other hand, there is still lack of information about predicting the live body weight from morphological traits in Savak Akkaraman lambs by means of jointly using factor and multiple regression analyses; therefore the previous report on predicting body weight by morphological traits in the Savak Akkaraman sheep has not yet been found recently. To reveal standard of this breed, the obtainment of more detailed information is still necessary. Hence, the current study was carried out to predict live body weight from more than a few morphological traits at each of three different periods through factor scores in multiple linear regression models. In the present study, the current data consisted of 477 head Savak Akkaraman lambs, which included both genders from different ages ranging from 2 to 8 years. Also the present data was provided from four enterprises between the years 2012 and 2016. Morphological traits at each period were body length (BL), tail length (TL), shin circumference (SC), withers height (WH), chest depth (CD), chest girth (CG), rump width (RW), rump height (RH), head width (HW), head length (HL), ear width (EW) and ear length (EL) as predictors. All the morphological traits for all the lambs were measured at three periods; namely, 11 days age (first period), weaning (second period) and at the beginning of grazing (third period). Table I.- Pearson’s correlation coefficients for after birth period (first period). **, Correlation is significant at the 0.01 level (2-tailed). Table II.- Pearson’s correlation coefficients for weaning period (second period). *, Correlation is significant at the 0.05 level (2-tailed). **, Correlation is significant at the 0.01 level (2-tailed). Table III.- Pearson’s correlation coefficients for beginning of grazing period (third period). Firstly, Kaiser-Meyer-Olkin (KMO) is used for sample adequacy and homogeneity of predictors in explanatory factor analysis. Secondly, Bartlett’s test of sphericity is employed to test whether correlation matrix is an identity matrix. Both of tests were performed to determine whether explanatory factor analysis is appropriate for the evaluated data sets. VARIMAX rotation is used to remove multicollinearity problems among raw predictors to interpret easily factor loadings. Factor loading is defined as Pearson correlation coefficient between a morphological trait and a factor score variable. Where; ε is a px1 vector of error or residual factors, F is an mx1 vector of factors, λ is a pxm matrix of factor loadings and Z is a px1 vector of variables (Sharma, 1996). Where, a is regression constants (becoming equal to zero), b1, b2, b3 and b4 are regression slopes (coefficients) of factor scores (FS) and e is error term. Determination of coefficient (R2) is used for assessing predictive accuracy of the multiple linear regressions. Variance inflation factor (VIF) was used to capture multicollinearity problem. VIF is advised to be less than 10 (Beyhan et al., 2016). All the statistical evaluations were done using Minitab (2014) statistical package programs. Table IV.- Results of Kaiser-Meyer-Olkin (KMO) measure and Bartlett’s test of sphericity. Pearson’s correlation coefficients between all couple of live body weight and all morphological traits are depicted in Tables I, II and III, respectively. Live body weight (LW) was positive-high correlated with all the body traits for each period (p<0.01). Thus, it was tried to obtain evidence for multicollinearity problem at initial stage. Kaiser-Meyer-Olkin (KMO) criteria of sampling adequacy for after birth, weaning and grazing period were found to be 0.93, 0.86 and 0.83 (Table IV). Another criterion, Bartlett’s test of sphericity results revealed that the explanatory factor analysis was suitable for the studied data sets (p<0.01), which was in agreement with those (0.892 KMO and Bartlett test, p<0.01) reported by Eyduran et al. (2009) at weaning period. They informed that the studied body traits (i.e. body length, body depth, withers height, chest circumference, and width of chest behind shoulders) had a positive effect on weaning weight. Similarly, the current findings supported the statement of Eyduran et al. (2009) at weaning period. Table V.- Results of factor analysis for first period. The results of the rotated factor loadings and communalities and factor score coefficients in explanatory factor analysis for each period are shown in Tables V, VI and VII, respectively. Also, Table VIII presents results of multiple linear models built for factor scores and live body weights at three periods. As recommended by Khan et al. (2014) and Eyduran et al. (2009), when the pair of regression coefficients and rotated factor loadings have same mathematical signs (++ or --), it can be said that the examined raw predictors, morphological traits, will positively increase live body weight. In this regard, all morphological traits at weaning period affected increasingly weaning weight when considering the signs of factor loadings and regression coefficients in Tables V and VIII. From the Table V, it was understood that CG, WH, BL, CD, RW, HW, RH, HL, EW and EL contributed to formatting the first factor at the first period, whereas TL and SC also made the major contribution to the second factor at the first period. In the study, a bit more than 80% (R2 and adjusted R2) of total variability in the first period weight was explicated by both factors. However, corresponding values at the remaining periods were lower. At the second period, RH (0.846), CG (0.842), WH (0.818), BL (0.737), SC (0.614), TL (0.609), RW (0.573) and CD (0.548) loaded on the first factor (Table VI). In Table VIII, positive regression coefficient of the fs1 at second period was significant (p<0.01). Lambs with larger values in the eight morphological traits would be expected to be heavier at the second period. EL (-0.870) and EW (-0.859) in Table VI significantly contributed to the formation of the second factor. In Table VIII, negative regression coefficient of the fs2 at second period was found significant (p<0.05). This means that lambs that have higher in EL and EW would be expected to be heavier. In Table VIII, regression coefficient of the fs3 at second period was non-significant, meaning that there was no need of implementing HW and HL. Table VI.- Results of factor analysis for second period. Table VII.- Results of factor analysis for third period. Table VIII.- MRA results of factors for each period. At the third period, it is meaningful to consider only the significantly initial two factors and corresponding morphological traits (CD, RH, CG, HW, WH, HL, and BL strongly contributing to the formation of the first factor, and EL and EW significantly contributing to formatting the second factor). Lambs that have higher values in CD, RH, CG, HW, WH, HL, BL, EL and EW would be expected to be heavier at the last period. Results of similar studies on factors scores with multiple linear regression models on different species were reported. Khan et al. (2014) employed factor scores in MLRA in order to predict body weight from different morphological traits, and reported that factor scores (new derived predictors) were significant contributors (92.0 % R2 and Adjusted % 91.9 R2) for the female Harnai sheep and (87.8 % R2 and Adjusted % 87.6 R2) for male Harnai sheep. Jahan et al. 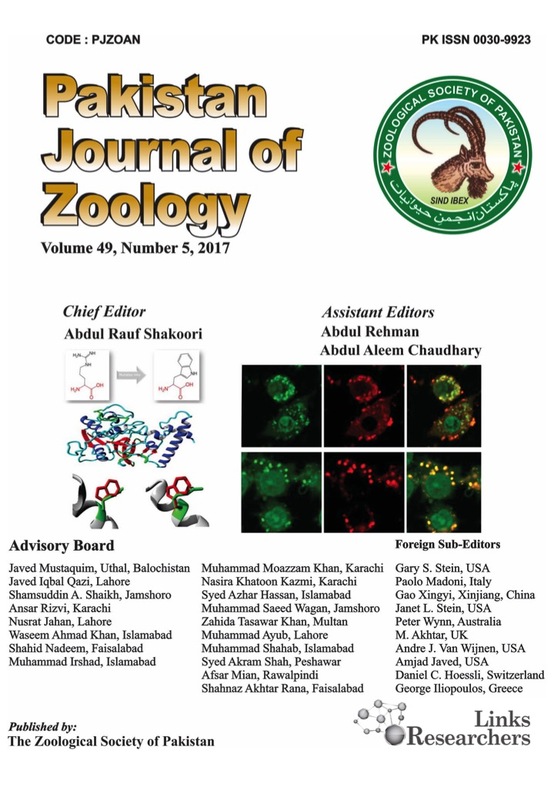 (2013), in Balochi male sheep, reported 91.1% R2 of the variability in BW from TL, SL, SC, BL, WH and HG in the Balochi male sheep. Variability of 88.5% on body weight of male sheep was explained by four factors, as for female sheep, variability of 93.8% was explained. Tariq et al. (2012) used factor scores in multiple regression analysis with the intention of predict body live weight of Mengali sheep and recorded that 79.1% of the variability in body weight was described by three new-latent variables. Cankaya et al. (2009) developed a useful equation for predicting the weaning period for 101 head Karayaka lambs and stated that 73.1% of total variability in weaning weight was clarified by the five uncorrelated variables through same combined approach. Eyduran et al. (2009) mentioned that approximately 80% of total variability in predicting weaning weight of Norduz lambs was accounted for by three latent variables by using factor scores in multiple regression model. Riva et al. (2004) revealed the relationships among body measurements using factor scores on adult and young Bergamasca sheep, and informed that the results were changed different husbandry system (transhumance and sedentary system). In Yakubu (2009) obtained two factors that explained 87.53% of the total variability in the body measurements of chickens with Varimax rotation factor analysis. The results obtained from the current study at first period were in conformance with those stated by Tariq et al. (2012) and Eyduran et al. (2009); however, were lower than those found by some previous researchers (Khan et al., 2014; Jahan et al., 2013; Cankaya et al., 2009). In agreement with the current study, many authors also reported that use of factor scores analysis in multiple linear regression modeling removed multicollinearity problem (Keskin et al., 2017a, b; Cankaya et al., 2009; Yakubu, 2009; Eyduran et al., 2009, 2010; Jahan et al., 2013; Khan et al., 2014; Beyhan et al., 2016). The difference of results may be attributed breed, rearing systems and various non-genetic factors and age of sheep etc. In literature, there have been several studies reported for various sheep breeds on the estimation of live weight from several morphological traits by means of factor scores in multiple regression analysis but the present paper was the initial record on body weight prediction of Savak Akkaraman Lambs. The relationship between body measurements and live weight of the Savak Akkaraman lambs were examined reliably using multivariate statistical technique (factor analysis) together with multiple linear regressions to remove multicollinearity problem as a result of very strong correlations between morphological traits. Morphological traits positively affecting the live body weight could be considered as indirect selection criteria for producing heavier lambs. As a result, it is recommendable to jointly use of factor analysis with multiple linear regression for eliminating the multicollinearity problem at especially the first period. Aksoy, A., Ertürk, Y.E., Eyduran, E. and Tariq, M.M., 2019. Utility of MARS algorithm for describing non-genetic factors affecting pasture revenue of Morkaraman Breed and Romanov× Morkaraman F1 crossbred sheep under semi intensive conditions. Pakistan J. Zool., 51:235-240. Cankaya, S., Altop, A., Kul, E. and Erener, G., 2009. Body weight estimation in Karayaka lambs by using factor analysis scores. Anadolu Tar. Bil. Derg., 24: 98-102. Eyduran, E., Karakus, K., Karakus, S. and Cengiz, F., 2009. Usage of factor scores for determining relationships among body weight and body measurements. Bulg. J. agric. Sci., 15: 374-378. Eyduran, E., Topal, M. and Sonmez, A.Y., 2010. Use of factor scores in multiple regression analysis for estimation of body weight by several body measurements in brown trouts (Salmo trutta fario). Int. J. Agric. Biol., 12: 611-615. Jahan, M., Tariq, M.M., Kakar, M.A., Eyduran, E. and Waheed, A., 2013. 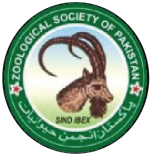 Predicting body weight from body and testicular characteristics of Balochi male sheep in Pakistan using different statistical analyses. J. Anim. Pl. Sci., 23: 14-19. Khan, M.A., Tariq, M.M., Eyduran, E., Tatlıyer, A., Rafeeq, M., Abbas, F., Rashid, N., Awan, M.A. and Javed, K., 2014. Estimating body weight from several body measurements in Harnai sheep without multicollinearity problem. J. Anim. Pl. Sci., 24: 120-126. Minitab, 2014. Minitab I: Statistical software for Windows, Release 17. Minitab Inc., USA. Sangun, L., Cankaya, S., Kayaalp, G.T. and Akar, M., 2009. Use of factor analysis scores in multiple regression model for estimation of body weight from some body measurements in Lizardfish. J. Anim. Vet. Adv., 8: 47-50. Sharma, S., 1996. Applied multivariate techniques. John Wiley and Sons, Inc., New York, USA. Tariq, M.M., Eyduran, E., Bajwa, M.A., Waheed, A., Iqbal, F. and Javed, Y., 2012. Prediction of body weight from testicular and morphological characteristics in indigenous Mengali sheep of Pakistan: Using factor analysis scores in multiple linear regression analysis. Int. J. Agric. Biol., 14: 590-594. Yakubu, A., 2009. Fixing collinearity instability in the estimation of body weight from morpho-biometrical traits of West African Dwarf goats. Trakia J. Sci., 7: 61-66.